Top management support: The need of not only support but also involvement of the top management in implementing the ERP in a firm is a prerequisite. Implementation of ERP is a vast stem for any organisation that not only incurs huge cost but also requires multiple changes across the structure and the working of the organisation. Since the top management is the key stake holder, it is necessary to engage and communicate with them. They must understand the need as well as the pace with which the changes would be brought along in the organisation. Also it is their responsibility to motivate and provide effective feedback when issues are surfaced so that the project is kept in the moving state. The implementation of an ERP project is a time consuming and lengthy project that takes months and years to complete. It is thus, important to keeping the teams focused on the goal and working toward its success. Also top management is required to resolve the conflicts arising between the parties since management objectives at times cause disparities (Dennis, 2008).. It becomes necessary for the senior management to understand their role in driving the successful implementation of the project. The case study shows how Ted Anderson, Peter Shaw and Linda Watkins were completely involved with the development and implementation of the new system – PAS. Since they recognised that the existing CIMS system was highly incompetent and would be difficult to upgrade, they recommended the development of the new system. They were also able to communicate the idea to the steering committee. The project planning and the staffing of the project as discussed in the case study were also performed by them. The case study also shows how the management is required to resolve conflict when Watkins realizes that the project would be delayed by four weeks because of year-end closing activities. Thus the top management helps in the formulation of real and justified goals based on its knowledge and experience with the organisation. Analysis of the organisation’s vision and requirements: Implementation of an ERP system can be a length, costly, and labour-intensive affair for an organization. And thus is not done correctly can heavily impact the bottom line of the firm. Before formulation a plan or a strategy, it is important to recognise what results are expected to be achieved from it. Thus for a firm that is in the process of implementing an ERP system, it is important for it to recognise the system needs, to evaluate its existing business processes, to analyse the requirements and then to formulate the strategy (Chenn, 2001). Firms may end up selecting a less suitable system for their businesses because of lack of understanding of the optimisation of business processes of their organisation (Calogero, 2005). Thus firms must try to identify the business need for bringing in this change. Also they must try to analyse the solution product’s requirements, functionality and its performance so that it can be ensured that the solution would be able to achieve what is expected from it. As mentioned in the case, the initial study, the detailed study report and the draft requirement report were prepared by the consultants at CIPI to analyse the new system. It was recognised that the scope of the system be increased to include manual sales orders. It was also recognised that it would be difficult to enhance the existing CIMS system and thus the need of developing a new system - PAS (Payables Audit system), was recognised. The detailed study report included the business objectives of the new system that included – reduction of cost of voucher, staff for processing vouchers, time required to pay vouchers and the integration of the system with various other functions and systems. Also the cost of developing the system and the estimated savings from the system were calculated. Thus such analyses help the organisation in setting a clear path to reach to the final goal of successful implementation of the system. Re-organisation of various business processes: Previously, organisations used to decide how they wanted to do business and correspondingly made decisions about software package that would best support the business processes of the firm. However this has changed with the ERP systems. Implementation of ERP package requires the business processes to be modified to fit with the package (Davenport, 1998). Organizations may face difficulty in integrating the ERP system with the existing hardware, operating systems, database management systems and other functional systems that exist in the organization (Markus et al, 2000). It is not only to recognise that there exists a need to change but also to realize the extent to which the change is needed. It is important to analyse the magnate of change since it helps in recognising the time and cost that would be needed in bringing about the change. Also it helps in deciding if reinvention of a business process is required that would mean scrapping the current process and creating a new one that truly meet the needs of the organisation (Bancroft et al. 1998). Thus the implementation of a new system may require re-organisation of internal systems as well as various other business processes. As the case describes, PAS needed to be interfaced with six other internal systems in CIPI. Also, the detailed study report mentioned that PAS would be limited to the IBM mainframe hardware platform however with the outline of physical design, it was recognised by the technical people to move as much of the PAS system to the LAN as possible. Also data modelling would be required for inputs, outputs, processes and data of the new system for its integration with the other existing systems. Thus the implementation of an ERP system causes dramatic changes to the business processes, organizational structure and its work flow. Consumer and Industrial Products, Inc.
CIPI is in the process of implementation of PAS (Payables Audit System) project which is one of the several interrelated projects that are being developed as a part of our TQM (Total Quality management) process. Since most of our processes were labour-incentive, need of development of systems was recognised in order to increase the productivity and add value to the organisation. However because of some of the strategic changes and challenges on how the department is intended to operate in the future, there have been significant modifications in the previously planned blue print of development and implementation of the PAS system. The documentation library for the current system was completed by the PAS project team. The documentation of workshop findings was also completed and the ERM diagrams were refined correspondingly. PAS system is to be interfaced with purchase order control, Supplier Master, Front-End document control, Electronic data interchange, Corporate Approval and Payment. PAS system was then expected to be operational by September 30, 1994. Estimated cost for developing the system: $250,000 to $350,000. As of March 21, 1994 PAS draft Requirements statement was submitted which was 4 weeks behind the schedule, due to unavailability of disbursements department employees who were unavailable for a period of four weeks, from 3rd week December to 2nd week January, for the year ending closing activities. However we were able to minimize the cost due to this delay to $5,000. As of June 27, 1994 we have been able to complete the outline physical design report. However the report has resulted in identification of a major change.PAS system was originally planned to run on the IBM mainframe, but the requirement of LAN for document Control system has resulted in the suggestion of shifting the PAS system to LAN. This has resulted in substantial increase of our estimated costs. The new estimate of cost is $ 560,000. Another issue faced by us remains that the major resources involved in the CIPI IS department were on contract basis. The only permanent employee of CIPI involved in the PAS systems is the PAS director, Linda Watkins who unfortunately met with a serious car accident last week. This has resulted in the halt of the implementation process since certain decision making lies only with the permanent employees of the organisation and not with employees kept on contact basis. Lucy Robbins, the lead analyst of PAS systems is a capable employee who is efficient in programming, supervising programmers and communicating with the technical specialist. Also she has experience in leading a medium-sized development project. Confirming her employment from contractual to permanent can help us in keeping the PAS system project on track. Also the issue with PAS remains that even though it is one of the most important systems, its department has always been understaffed. Because of supervisor’s lack of experience in development, the department often take suggestions and help from methodology group resources for project plans and moderate walkthroughs. They were also required for major technical reviews. Thus change of allocation of 2 resourced from methodology department to PAS department can result in increasing the efficiency of the PAS department. Other issue that we are facing remains the development of Imaging Document Control System. Imaging Document Control System is a vital interface for the new system. However it has not yet been physically implemented. CIPI’s lack of knowledge for this new technology is acting as a barrier in timely development of the system. Thus, employment of a contractual consultant with skills complementary to imaging document control system can help in speeding the process of development of not only DCS but also the entire system. Though all these measures as suggested above may incur high costs, they would result in substantial cost reduction in the coming years and would help in adding value to the organisation. It is difficult to evaluate the return on these investments by using traditional accounting methods Like Net present value (NPV) and Internal rate of return (IRR) since the benefits of IT are realized in the long run and are not in form of cash inflows but reduced cash outflows. Also it would help the organisation have Strategic and competitive advantages over its competitors which is inherently difficult to quantify. Thus the intangible nature of the benefits may not help in quantifying the returns on this investment but several other benefits and transformation of organisation from being labour intensive would be recognised. There would be real improvements to the business performance as a result of IT investments. Thus the successful development and implementation of the entire PAS system would enable CIPI to gain competitive advantage over its competitors, to develop new business, to improve productivity as well as performance and in providing new ways of managing and organizing the entire organisation and its business processes. SAP FICO requires in-depth knowledge of accounting transactions and financial terminology which makes this module the most difficult to use in comparison to other modules. SAP Sales and Distribution is the module that helps in completing the order to cash cycle corresponding to a sales order raised by a customer. The customer’s data is maintained in Customer Master and the material master data is maintained in Material master table. Customer material records are maintained in CMIR- Customer Master Information Record. Different plants corresponding to sales organisation are maintained and shipping points corresponding to different customers are maintained. Thus Route determination takes place whenever a sales order is raised that helps in optimizing of route from the plant to the shipping point. The shipping and billing documents are prepared corresponding to the sales order. Credit checks are made before preparing the billing doc. The sales and distribution module is required integration with customer, SAP MM and SAP FICO and thus requires a little knowledge about the other two modules of SAP as well. SAP material management consists of master data corresponding to the purchase cycle for the organisation and helps in the transactions of the complete Procure to pay process. Different planning stages include - Sales and Operation Planning, Long Term Planning, Demand Management, Materials Requirement Planning etc. The vendor’s data is maintained in vendor Master and the material master data is maintained in Material master table. Other major tables include - Vendor Master and Material Master Data, Purchasing, Inventory Management etc. the entire cycle of procure to pay include creating purchase order, transmitting the order to vendor, performing goods receipt and invoice receipt and payment or posting to account payables. The changes in demand and supply to various reasons like cancellation of Sales order or returns from supplier etc. are updated in the system real time. The very question that came across my mind when I started with this course was “Why do we actually need an ERP?” ERP has been the talk of the town since more than a decade now. As the firms expand and become big, they find themselves loaded with an extensive list of customers, suppliers, distributors, sales offices, brands, products and more. It thus becomes difficult for them to manage the operations of the organisation on their own and thus comes an ERP solution in picture which helps the organisation to manage its large chunk of data, improve its efficiency and production cycle, establishes standardisation in business processes across different verticals and geographies and helps in managing the entire business in a defined and structured way with improved data accuracy (Davenport, 1998). SAP modules are made with the functionality of easy integration with each other. However the integration capabilities are not limited to within SAP. Different SAP modules are also available with the functionality to integrate with Non-SAP business Suites. User Friendliness or Ease of use refers to the user acceptance rate of the interface of an application or solution. It is essential for an ERP solution to have simpler and easy to use interface so that the end user of the application can easily understand and use the system. Ease of use also includes the graphical user interface of the system, its navigation structure and its drill down approach to reach to a particular function or task. SAP is comparatively difficult to use than the other ERP suites available in the market. Though the list of transaction codes makes it easy to drill down, the extensive functions and options that SAP provides makes it difficult to remember the t-codes of even major functions. As already stated, investments in ERP suites are heavy. 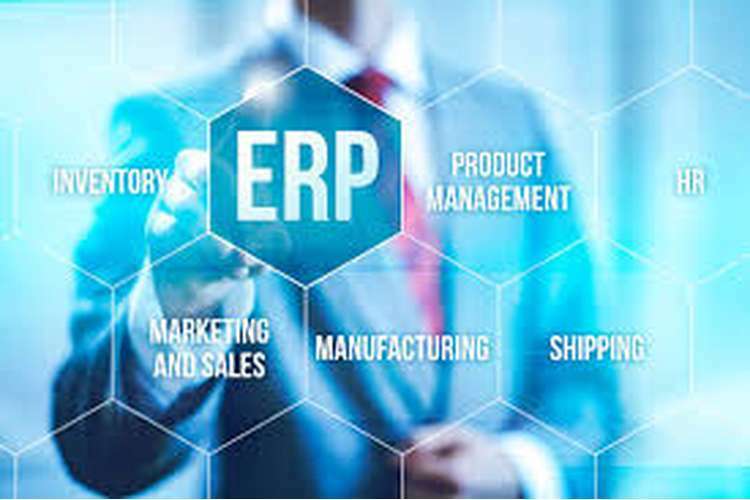 Thus customers mostly choose vendors from the major industry players that have a large market share or have a proven track record with ERP as their core business activity. Their expertise can be judged on the basis of the customer list and industry presence. SAP is not only the market leader in enterprise application software but is also the oldest player in the industry. Also SAP has excelled by developing 24 industry specific solutions that take into consideration the best practices and processes of that particular industry (Exhibit 1). This refers to the time required in the rollout. Organisation prefers a quick, efficient and effective rollout but implementation of ERP may turn out to be a night mare for some of the organisations. As the time to implement the ERP increases, the cost associated with the project increases exponentially. 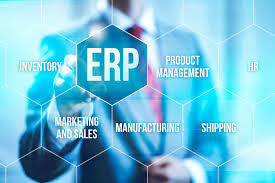 Also as ERP Implementation is a long drawn process the need for ERP support team is essential. Thus organizations look for frequent support and help during the lifecycle of ERP. It is thus important to check with the existing customers of the vendor and also decide on the terms and conditions on how the support would be provided before finalizing the vendor. SAP provides its consultant for support and maintenance and also has an online help portal to the customers so that they can provide a 24x7 service to them.